NASA’s Mars rover Curiosity has begun the steep ascent of an iron-oxide-bearing ridge that’s grabbed scientists’ attention since before the car-sized rover’s 2012 landing. 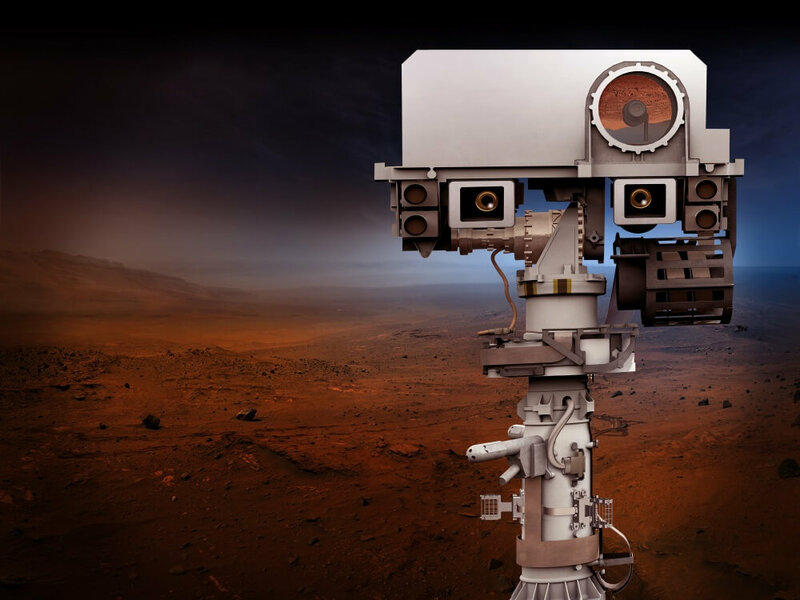 “We’re on the climb now, driving up a route where we can access the layers we’ve studied from below,” said Abigail Fraeman, a Curiosity science-team member at NASA’s Jet Propulsion Laboratory in Pasadena, California. “Vera Rubin Ridge” stands prominently on the northwestern flank of Mount Sharp, resisting erosion better than the less-steep portions of the mountain below and above it. The ridge, also called “Hematite Ridge,” was informally named earlier this year in honor of pioneering astrophysicist Vera Rubin. The ascent to the top of the ridge from a transition in rock-layer appearance at the bottom of it will gain about 213 feet (65 meters) of elevation — about 20 stories. The climb requires a series of drives totaling a little more than a third of a mile (570 meters). Before starting this ascent in early September, Curiosity had gained a total of about 980 feet (about 300 meters) in elevation in drives totaling 10.76 miles (17.32 kilometers) from its landing site to the base of the ridge. Curiosity’s telephoto observations of the ridge from just beneath it show finer layering, with extensive bright veins of varying widths cutting through the layers. “Now we’ll have a chance to examine the layers up close as the rover climbs,” Fraeman said. In orbital spectrometer observations, the iron-oxide mineral hematite shows up more strongly at the ridge top than elsewhere on lower Mount Sharp, including locations where Curiosity has already found hematite. Researchers seek to gain better understanding about why the ridge resists erosion, what concentrated its hematite, whether those factors are related, and what the rocks of the ridge can reveal about ancient Martian environmental conditions. “The team is excited to be exploring Vera Rubin Ridge, as this hematite ridge has been a go-to target for Curiosity ever since Gale Crater was selected as the landing site,” said Michael Meyer, lead scientist of NASA’s Mars Exploration Program at the agency’s Washington headquarters. During the first year after its landing near the base of Mount Sharp, the Curiosity mission accomplished a major goal by determining that billions of years ago, a Martian lake offered conditions that would have been favorable for microbial life. Curiosity has since traversed through a diversity of environments where both water and wind have left their imprint. Vera Rubin Ridge and layers above it that contain clay and sulfate minerals provide tempting opportunities to learn even more about the history and habitability of ancient Mars.